This is a recent cast and crew shirt from the team putting together the Star Wars Special Edition movies. It's a nod to the classic Blue Harvest and the logos of the two are identical. 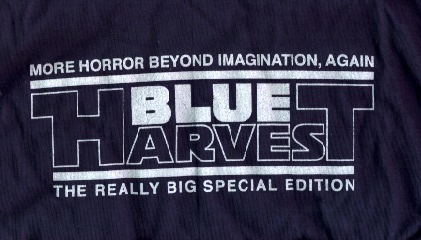 Although this shirt says "More Horror Beyond Imagination, Again" and "The Really Big Special Edition".